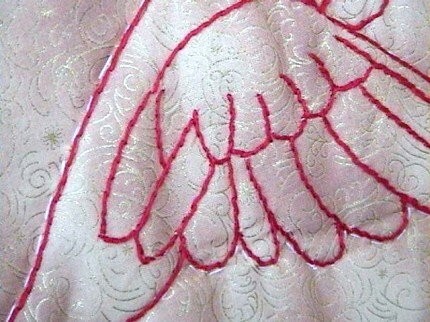 This is a neat little redwork quilt where I worked the redwork by hand - not by machine. I used beautiful red embroidery floss and a little hand needle and sat for several hours until I finished this cute little gem. The background is a gold metallic fabric. Sorry for the moire effect on the black and white fabric. This quilt is prettier than the pictures. 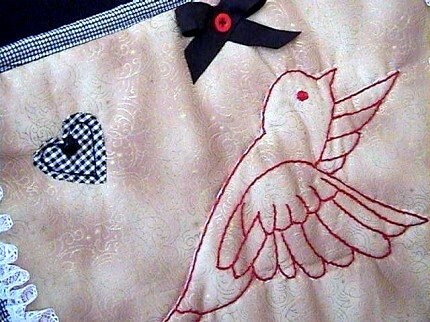 I raw edge appliqued the heart and then hand quilted around the bird. This caused the little birdie to take on a 3D appearance. 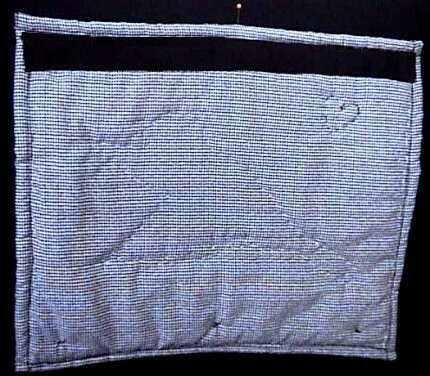 There is a sleeve on the back of the quilt, making it possible to hang the quilt if desired. Also, this art quilt can be laid out on your entrance or favorite display tale. Thanks for admiring my items.